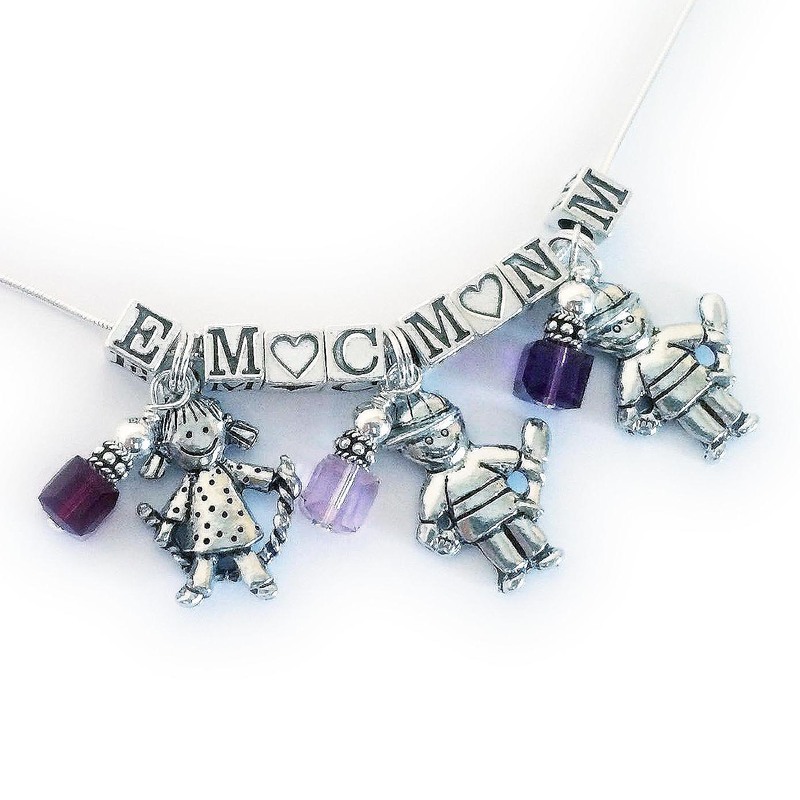 This Boy/Girl Charm necklace has 3 sets of initials, birthstones and boy and girl charms. It is a fun gift for mommy or a grandmom. I have a boy and a girl charm shown with the kids' initials and their birthstone crystals. Build our own add-on Kid Charm Necklace below. You can have up to 6 sets per necklace. A set is 1 childs' initials (first and middle name), 1 birthstone crystal and a boy or girl charm. A free heart bead will be added in between all sets. The necklaces are .925 sterling silver with the snake design. The Alphabet block letters are 5.5mm sterling silver. The Birthstone Crystal dangles are made with all sterling silver components and Swarovski crystals in birthstone color of your choice. The girl jumping rope and the boy with the bat are lead-safe pewter and Made in the U.S.A. Please abbreviate when ordering below as space is limited. If you have any questions feel free to call/text or email me, anytime.